Get notified of the latest free stuff with a Gimme daily alert. warning: str_repeat() [function.str-repeat]: Second argument has to be greater than or equal to 0 in /mnt/data/www/drupal-site-gimme/sites/all/modules/gimme_blocks/gimme_blocks.module on line 601. To enter competition visit website and simply fill the detail. 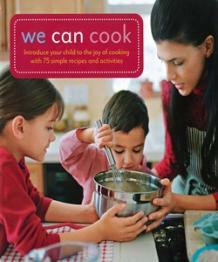 wecancook.jpgThe big kids are packed and back to school, so it’s time to focus on the littlies, to help them learn and grow. With these two great books (We Can Cook and New Zealand Shore & Sea Life) parents can teach and encourage budding chef’s, artists, or marine biologists for that matter!